Next Article Is 5G the competitive edge? 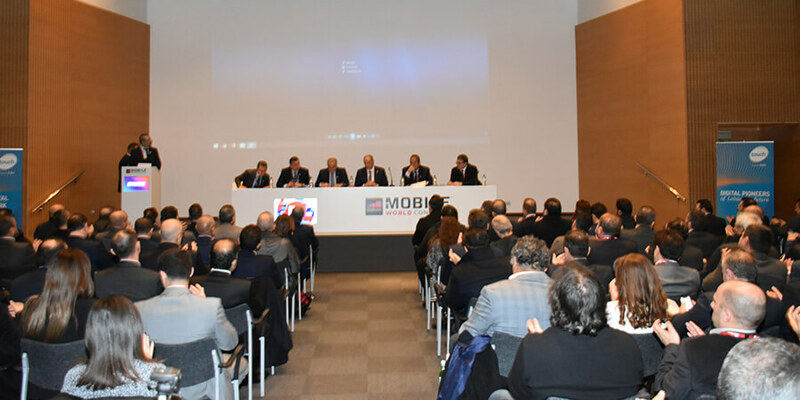 During Mobile World Congress this year, the Ministry of Telecommunications of Lebanon organized for the second year in a row a gathering for the Lebanese ICT diaspora to share the ministry's vision for the telecommunications sector, achievements and plans for the coming year. This event gathered high level Lebanese experts in the ICT field representing companies in Lebanon and abroad. The main purpose was to share insights on the sector in Lebanon and to showcase how the Ministry along with Ogero, and the two incumbent telecom operators, touch and Alfa are deploying tireless efforts to uphold the sector and achieve progress. "All Lebanese people dream of high speed internet and full coverage", said H.E. Jamal Jarrah, Minister of Telecommunications of Lebanon during his opening speech. "We have set our goals based on the people's aspirations and strived to improve speeds, coverage and reduce prices." H.E. Jamal Jarrah explained that on the international level, the Ministry was capable of improving the conditions of the submarine cable between Lebanon and Cyprus in order to cater to the ever increasing needs of internet capacity. In addition, all licensed ISPs and mobile operators have now open access to E1s which prices were reduced from 240$ to 100$. On the local level, developing the existing network was the first objective, he said. "We are working with Ogero to upgrade the network and pave the way to the deployment of fiber optics. Demand on landlines exceeded the Ministry's capacity that is why we have strived to address the peoples' need by establishing more central stations," he added. Talking about FTTH in Lebanon, the minister tackled the importance of the FTTX project launched earlier to set the ground for a complete FTTH deployment allowing the Lebanese people to have access to high speed internet. In addition to the keynote of H.E. Jamal Jarrah, Imad Kreidieh, chairman and director general of Ogero, Naji Andraos, general director of installation and equipment at the Ministry of Telecommunications, Bassel Ayoubi, director general of investment and maintenance at the Ministry of Telecommunications, Naji Abboud, head of Owner Supervisory Board at the Ministry of Telecommunications and Emre Gurkan, CEO of touch, shared their insights each from his own perspective and field of expertise. Each one of them explained how he has contributed to the achievements made in the sector since the first gathering held last year in interesting presentations relating numbers and statistics. "It all started with a tweet demanding change in Lebanon. We accept the challenge and worked throughout this year to improve Ogero's brand and services. We recently launched our new identity that revolved around people. That is why, 2018 will be focused on our clients", stated Imad Kreidieh, chairman and director general of Ogero. The latter concluded his presentation by announcing an unprecedented partnership in the Middle East with Chinese vendor Huawei in order to test the virtual OLT technology. Kreidieh confirmed that Lebanon will be the third country in the world after China and Ireland and the first in the region to test this technology. This will empower the private sector to control its customers end to end.